19 year-old Ben Burns (Lucas Hedges) unexpectedly returns home to his family’s suburban home on Christmas Eve morning. Benâ€™s mother, Holly (Julia Roberts), is relieved and welcoming but wary of her son staying clean. Over a turbulent 24 hours, new truths are revealed, and a mother’s undying love for her son is tested as she does everything in her power to keep him safe. 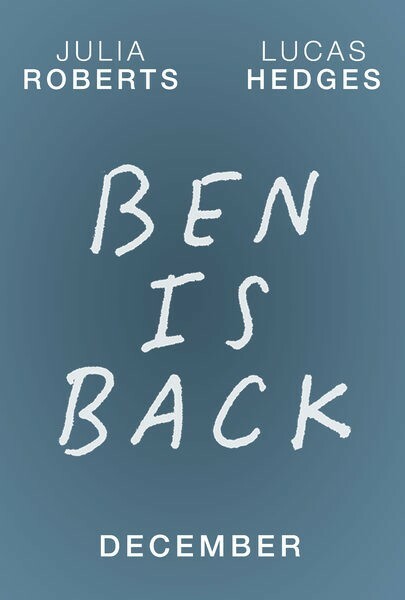 Ben is Back also stars Courtney B. Vance (The People V. O.J. Simpson: American Crime Story) and Kathryn Newton (Lady Bird).